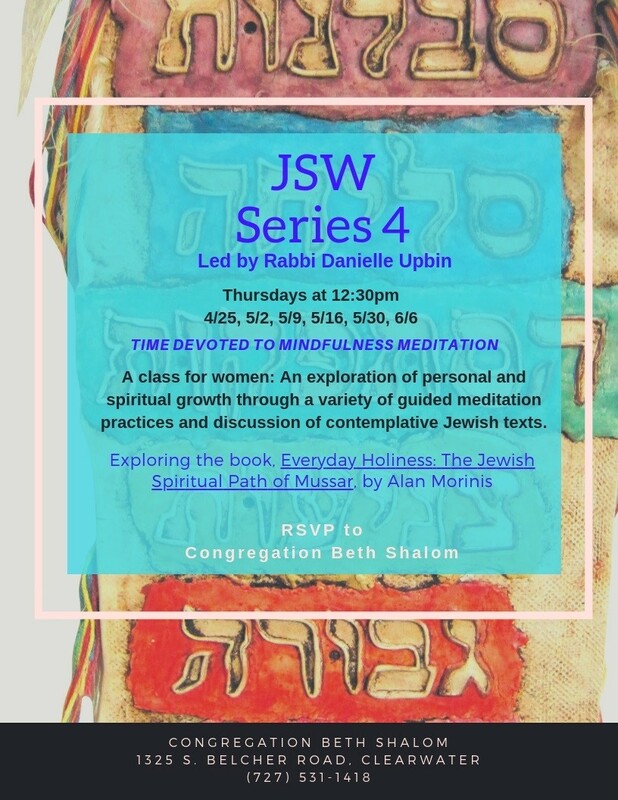 A class for women: An exploration of personal and spiritual growth through a variety of guided meditation practices and discussion of contemplative Jewish texts. The book being used is Everyday Holiness: The Jewish Spiritual Path of Mussar, by Alan Morinis. Please RSVP to the CBS office. Thank you.